From humble beginnings in 1923 as a German hardware store, furniture fittings were where it all started for Häfele. 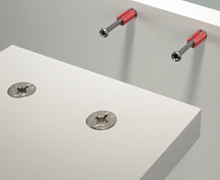 Our IxConnect brand includes panel connectors, shelf supports and fittings designed to aid in a range of furniture builds. 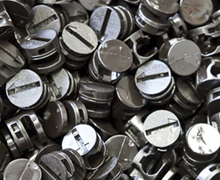 The IxConnect product range is manufactured at our plant in Berlin and the success of this range speaks for itself. From the invention of the centric ball principle, followed by the launch of the minifix connector in 1983, to the production of the award winning ‘U-Dowel’ SC 8/25 – a tool-less spreading connector (Best of the best Innovation award at Interzum 2017), our focus has always been on functionality, stability, product innovation and quality. Häfele proudly offer 25 years of Lifetime Guarantee on all IxConnect products. Click here to know more. Please click the burger menu in the top left hand corner of the video below to view all of the Ixconnect video's.